When it comes to holidays, Mary Austin is quite, well, merry about the Yuletide. The day after Thanksgiving, the Charleston Wine + Food culinary talent manager—whose resume includes a long run with Hospitality Management Group and 13 years co-owning Mount Pleasant’s Square Onion—sets up her 14 Christmas trees, including two giant firs indoors and a live one in the yard. 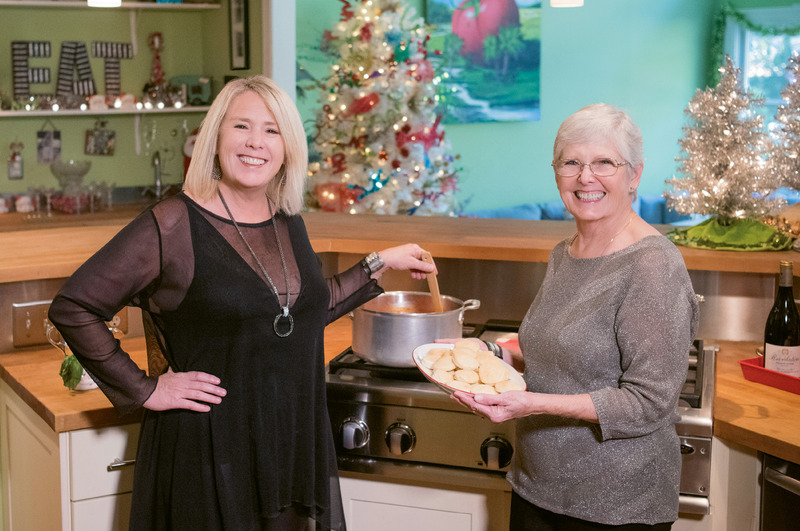 When the holiday parade marches down Coleman Boulevard, she hosts a tent party from her Old Village home, dressed in a skirt that plays “Jingle Bell Rock.” Still, Austin’s favorite seasonal traditions remain the simpler affairs, like the soup and dessert potluck that her parents have hosted for some 20 years. The gathering brings friends and family together for comforting bowlfuls and sweets on the Sunday before Christmas. “It often falls on the day of the candlelight service at our church,” explains Austin, who annually makes the drive to her parents’ home in Greenville for the party. The festive setting, decked in greenery and filled with savory aromas, is recreated this year in Austin’s abode. 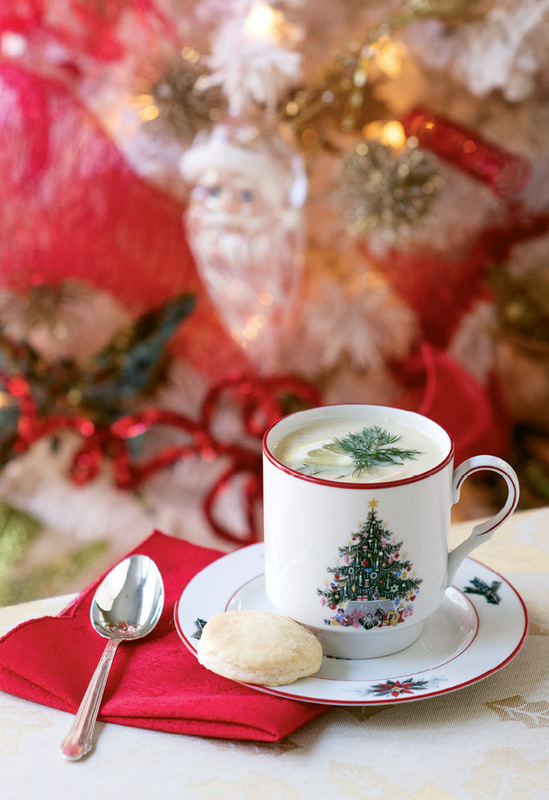 The simmering selections vary each holiday, but some favorites remain. 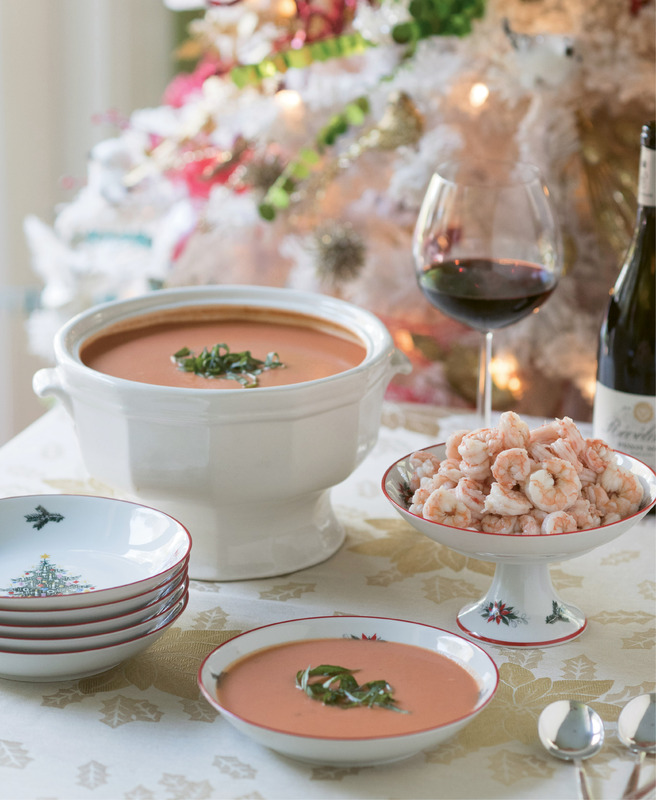 “My mom always serves her tomato bisque,” says Austin, explaining that her mother prepares the tangy broth in the summer using fresh Edisto Island tomatoes and then freezes it sans sugar and cream till December. (Come party time, she simply thaws the dish and adds the remaining ingredients.) New to the table this year is avgolemono, a lemony Greek recipe that gives a hearty “oomph” to classic chicken noodle soup. The dish still contains pasta—orzo, in this case—and chicken, but the broth is thickened with tempered eggs and livened up with citrus and dill. After the soup course, sweets are in order, and loved ones cater the dessert table. 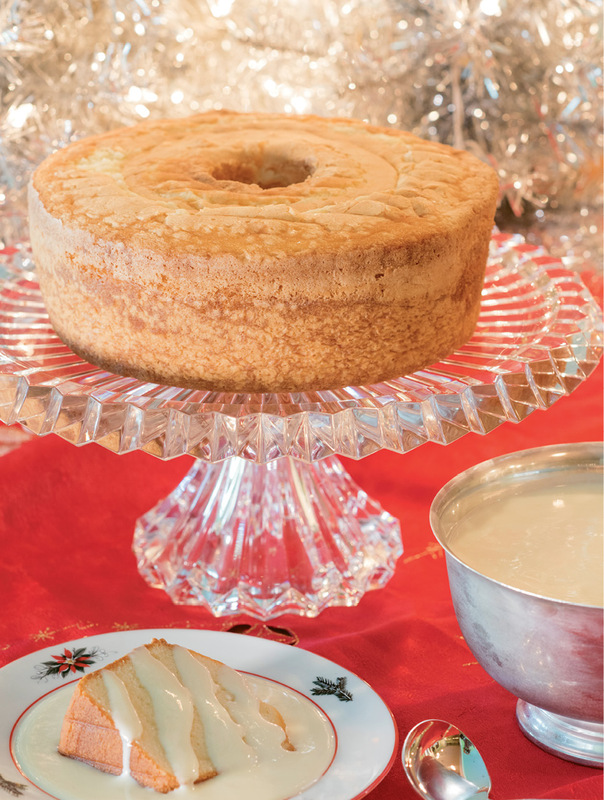 “My best friend always bakes her coconut cake, and my sister-in-law makes ginger sparkler cookies,” notes Austin, who herself brings slices of sour cream pound cake drizzled with boiled custard, a thick vanilla sauce recipe passed down from her grandfather. 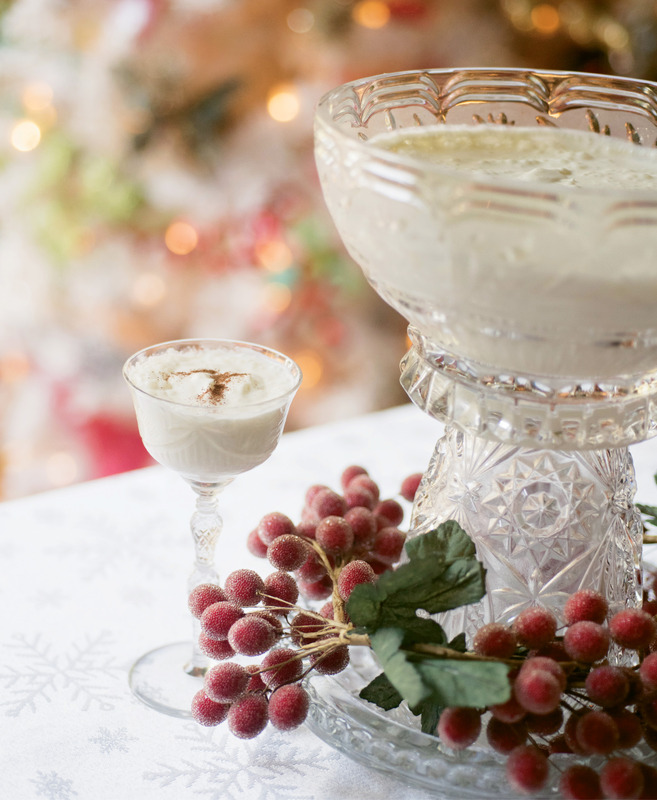 And using a 1900s heirloom churn, she whips up syllabub, an airy punch made with sweetened cream and Bourbon—a nostalgic alternative to holiday eggnog. 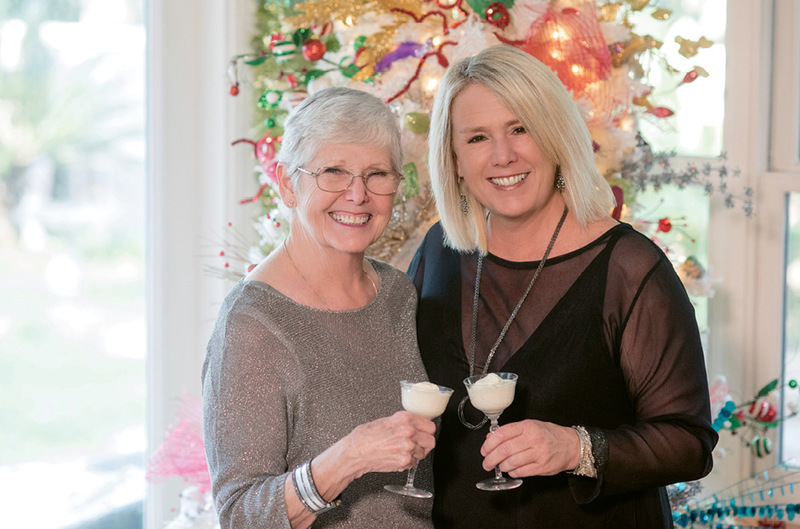 “The drink is a staple in our family. I think it just gives folks an excuse to add liquor to their glasses,” she chuckles. At the night’s end, buoyed by warm soup, good cheer, and frothy cocktails, party guests gather round the piano for carols, glad for an evening of unharried camaraderie.